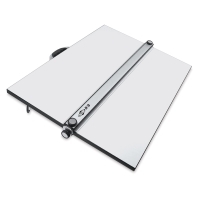 This parallel straightedge board provides the convenience of a studio work surface in a compact, portable unit. It is composed of a smooth, warp-free white Melamine laminated board that wipes clean with a damp cloth. 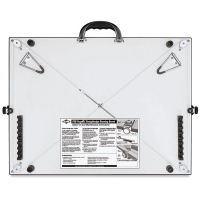 To view a PDF of instructions for the Alvin PXB Portable Parallel Straightedge Board, please click here.